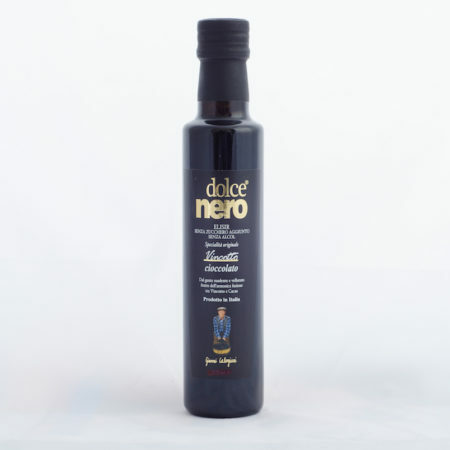 whose origins date back to the Este dukedom, is one of the finest and most renowned condiments in the world, so much so that it has recently been granted the much-coveted D.O.P. mark(denomination of protected origin). 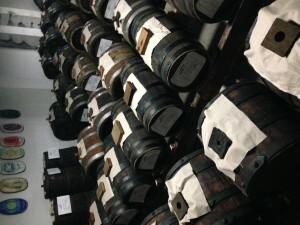 It is produced by ageing cooked grape must, acetified in casks which are all strictly of different sizes and woods. 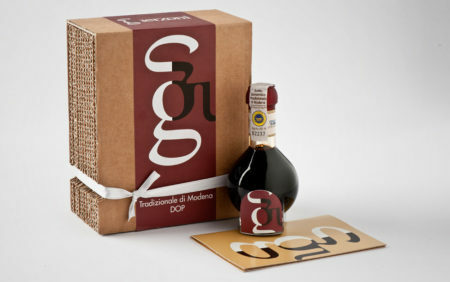 At Guerzoni, thanks to a system based on biodynamic principles, whereby each cask is associated with a particular planet in the solar system (Moon-cherry, Venus acacia, Mercury-mulberry, Sun-ash, Mars-oak, Jupiter-maple or chestnut, Saturn-juniper or chestnut) our Traditional Balsamic Vinegar of Modena benefits from a unique period of ageing, lasting up to 24 years, which endows it with unmistakable properties and aromas. Before being bottled, the vinegar undergoes stringent testing by the Tasting Commission of the Modena Chamber of Commerce, which assesses characteristics of density and acidity as well as organoleptic properties. 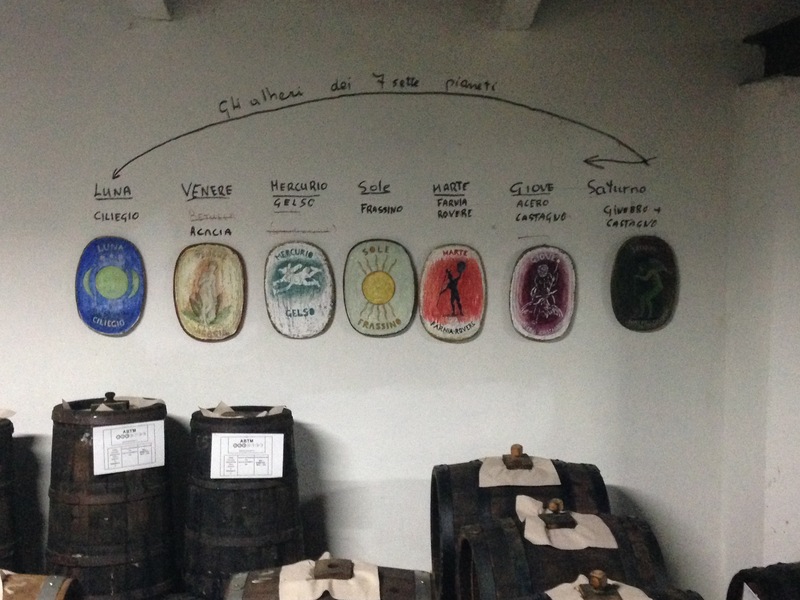 Only after passing these tests can the product boast the prestigious name “Aceto Balsamico Tradizionale di Modena”. As an additional guarantee for consumers, the Modena Producers Consortium actually bottles the product batch inside the Chamber of Commerce. 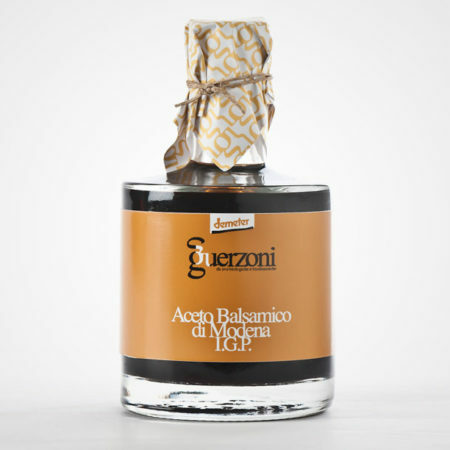 This Traditional Balsamic Vinegar of Modena can be considered truly unique since, right from the beginning, the “Acetaia Guerzoni” vinegar loft has only ever used organic and biodynamic grapes. 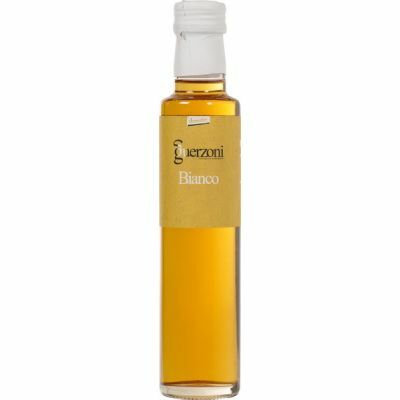 This product is best savored when used to enhance meat dishes, vegetables and cheese. Its characteristics are equally brought out by fruit and ice-cream.